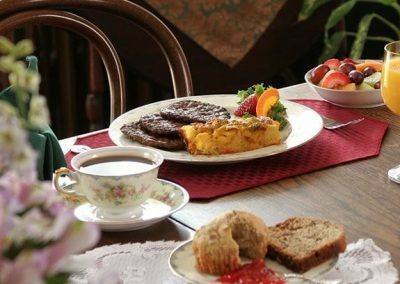 The Queen’s Cottage Balmoral Room is both relaxing and romantic. 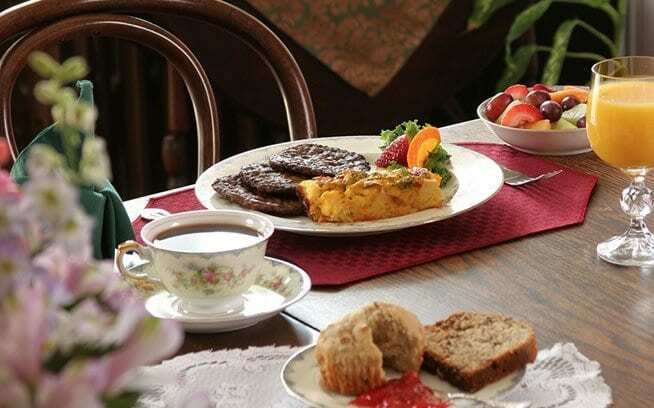 It is a favorite when people stay at the Queen Victoria. 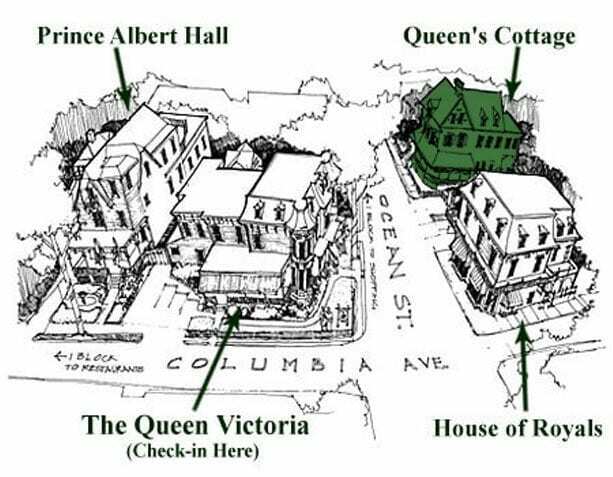 The Balmoral Room is a first floor room in the Queen’s Cottage, named in honor of Queen Victoria’s Scottish Highland castle. It is a room of elegant privacy and romance with decor that is tastefully designed to encourage comfort and relaxation as you step into it. 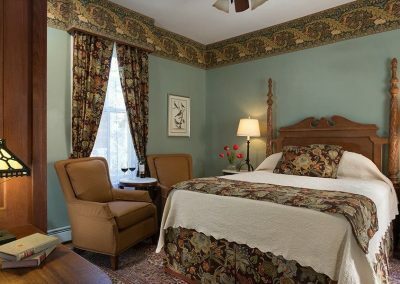 Balmoral has an incredibly comfortable queen sized bed which features a beautiful headboard with detailed acanthus carvings. Pay close attention to the various elements of the headboard, as you will see them duplicated throughout all of the custom, hand crafted furniture and decorative elements in the room. 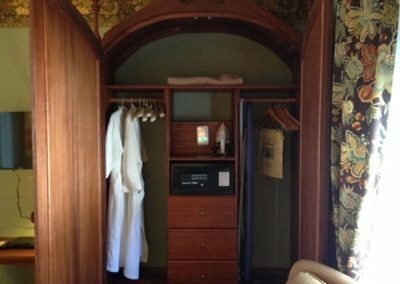 The center piece of the room is a dramatic, custom crafted, solid mahogany armoire with an arched top containing his & hers closets within. 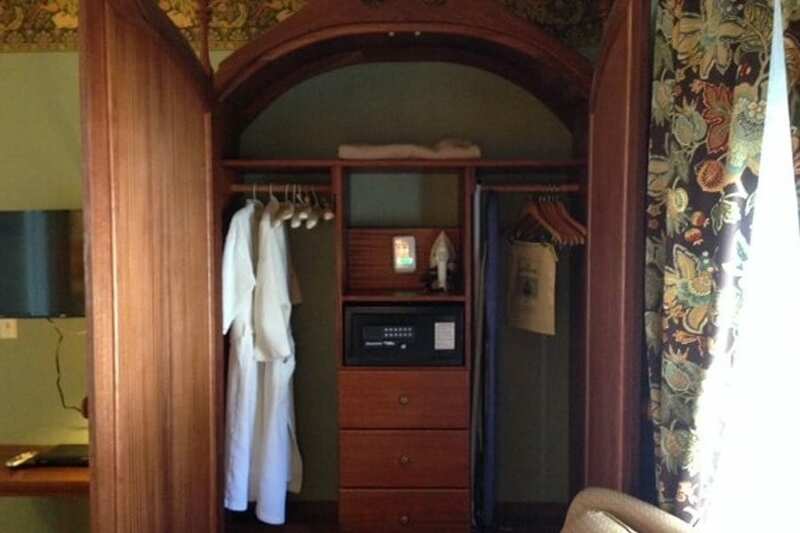 Open the doors of the armoire and you’ll also find plenty of drawers and a convenient electronic device charging station. The beautiful vintage Victorian dresser is set into a dramatic alcove niche, which is topped with another custom crafted decorative element matching the theme of the room. 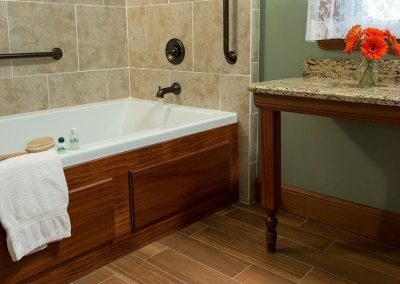 Balmoral’s bathroom boasts a wonderful 2-person air jet tub, and an integrated 2-person/2-head shower. 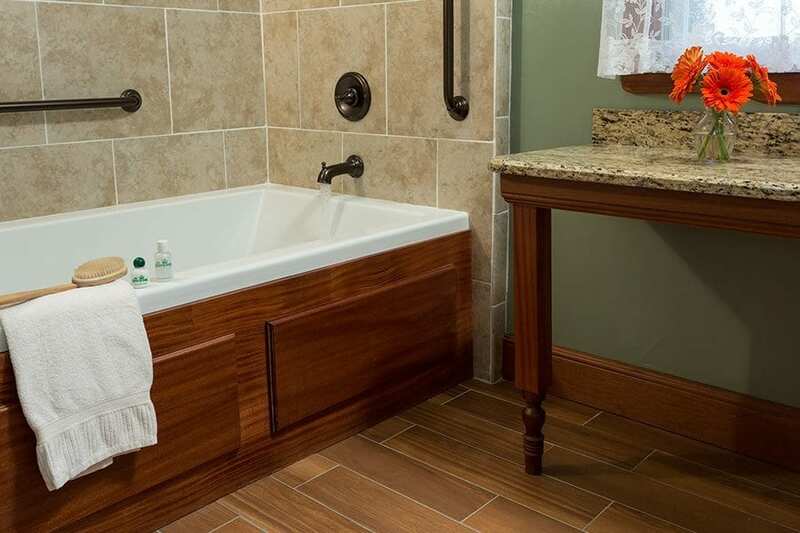 The sink in the bathroom is set within beautiful and spacious 6 foot long granite counters mounted above the custom crafted mahogany vanity. 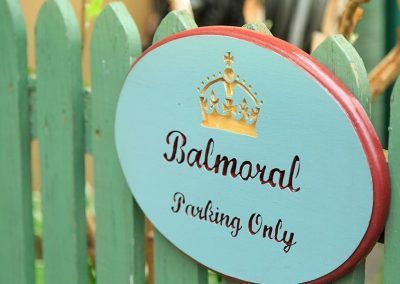 The Balmoral room is one of only 7 rooms that comes with its own parking space, a wonderful feature during our busy summer season. 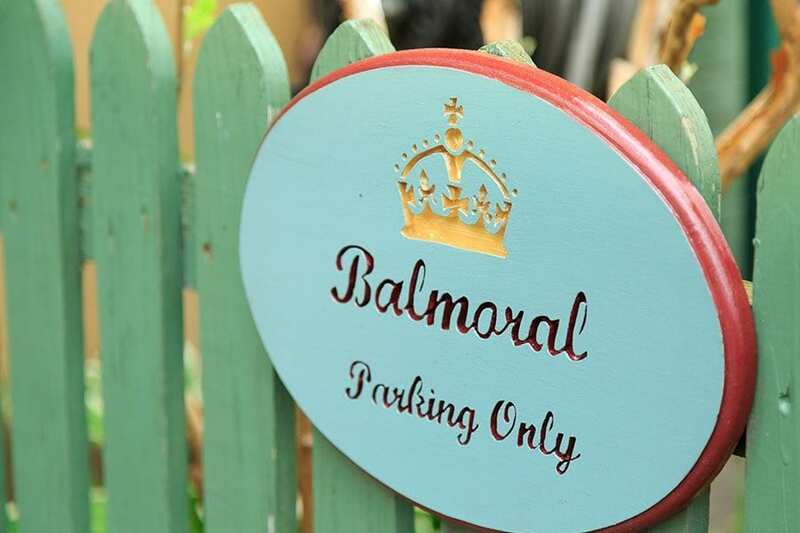 The Balmoral room features all the comforts you expect including a TV/DVD, a mini refrigerator, a room safe, an electronic device charging station, an iron & ironing board and our signature spa robes. 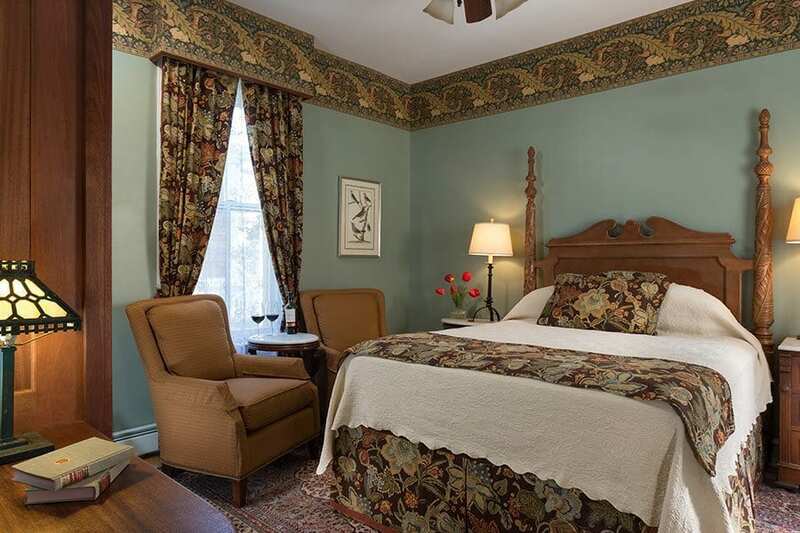 Free wireless internet is also available throughout our cozy historic Cape May boutique inn rooms. One of only 7 rooms that has its own parking space.